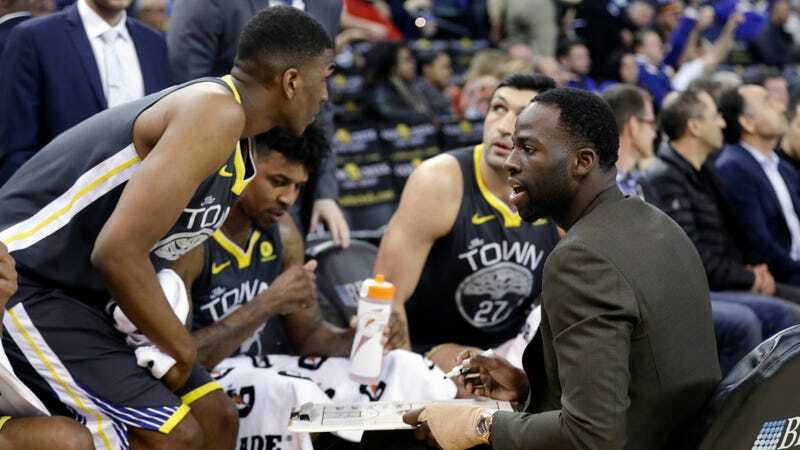 Okay, yes, maybe he gets points deducted for pulling this move during a game against the pitiful Suns, but Warriors head coach Steve Kerr did something genuinely cool and unexpected last night: he let his players run every timeout huddle. The Warriors won 129-83. It’s nice to see a professional coach willing to loosen his grip on the players a little a bit and try something new, particularly while putting himself at risk of looking entirely superfluous. Now, if Kerr wants to be a true badass, he’ll do this the next time the Warriors play the Rockets or the Thunder.